"What Founders and Funders are saying"
High energy, fast-paced pitches and great networking event. Recommended for early stage startups and investors alike! Real investors actually attend FMF events - it's one of the only events where they are eager to meet companies and hear you pitch. Daniel Jang is a force of nature and I would highly recommend attending one of his events as either founder or funder. The quality on both sides is well curated and the generosity of spirit is evident. Two thumbs up. This is a quick way to connect with a lot of people. One of the funders at the last event invested within 2 weeks, and is providing us much more than just money. FMF is my favorite networking series. Danny always brings wonderful, talented, and active people to the scene. I met several angels for Helpr at FMF this year. FMF events are great because Danny Jang builds personal relationships with all of the founders and funders at his events and vets them carefully before inviting them to attend. Founder Meet Funder is a great way to keep up with budding Los Angeles startups and a finger on the evolving tech landscape outside of our own inbound inquiries. I love how FMF makes it easy to meet local investors. Through pitching, speed networking, and Danny's intros, I've made long-term connections. 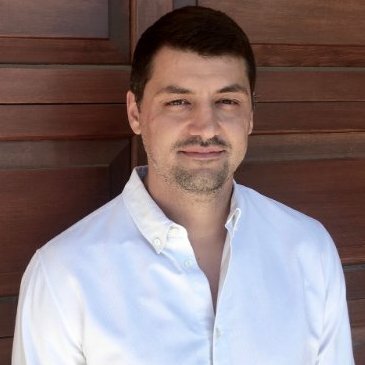 "Organizing an event such as FMF is hard work, and Danny excels at finding the right companies with the right founders to introduce to right potential investors. He makes everyone feel welcome at the events and personally makes the right strategic connections. I have found a new project to get involved with at every event I attended, and that is a testament to how well curated FMF events are." "I have attended three FMF events this year. They are getting better every time thanks to Danny's dedication and hard work. Why go? FMF is the sure way to discover the best local startups and meet the investors who make a difference. It's a rare opportunity to cut through the noise and see for yourself what is been built. Two of my proudest investments, Helpr and Stample came through FMF. Undoubtedly, FMF has become a channel to source qualifty dealflow. Los Angeles needs FMF and I cannot wait to see what Danny is planning next for our community"